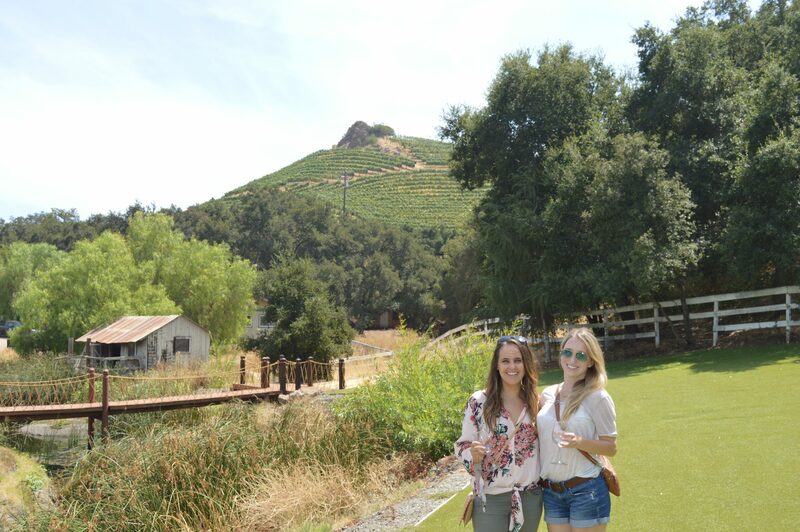 Wine, safari rides, and good friends. There is nothing better! 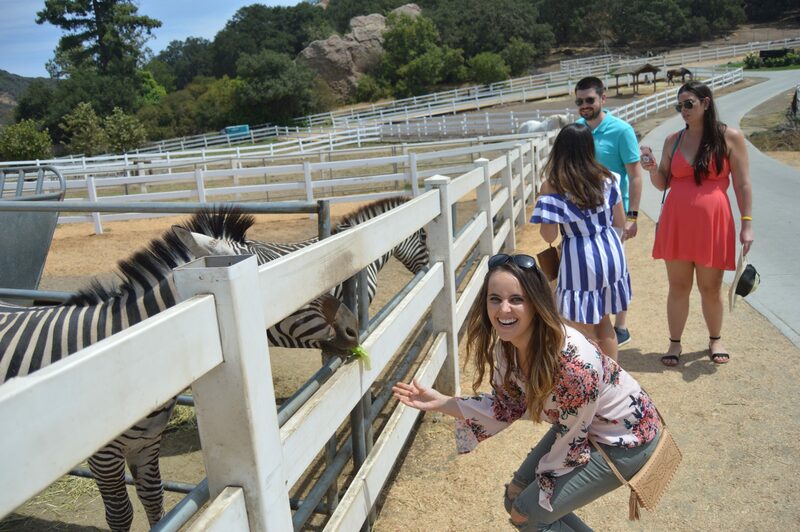 I discovered Malibu Wine Safari’s through Amanda Stanton from the Bachelor, and couldn’t resist getting out there to try it out myself! My husband and my friend from college, Victoria, were kind enough to join me on this safari adventure! 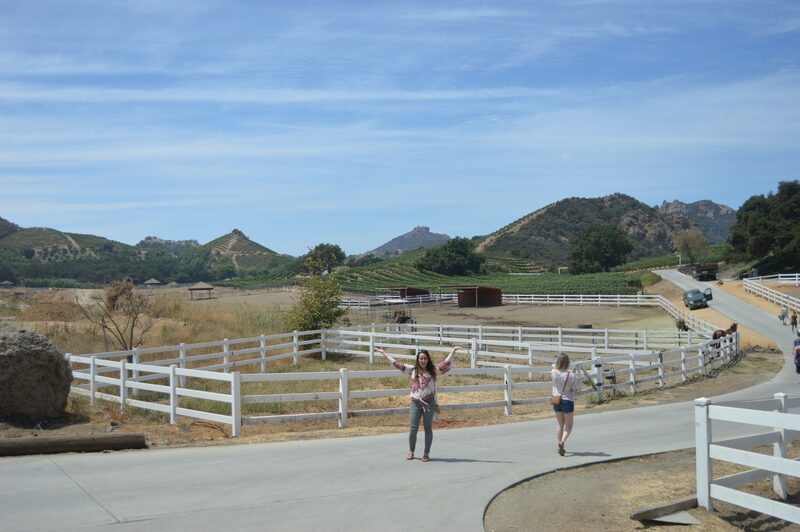 Malibu Wines is a gorgeous winery 40 minutes North of Los Angeles. 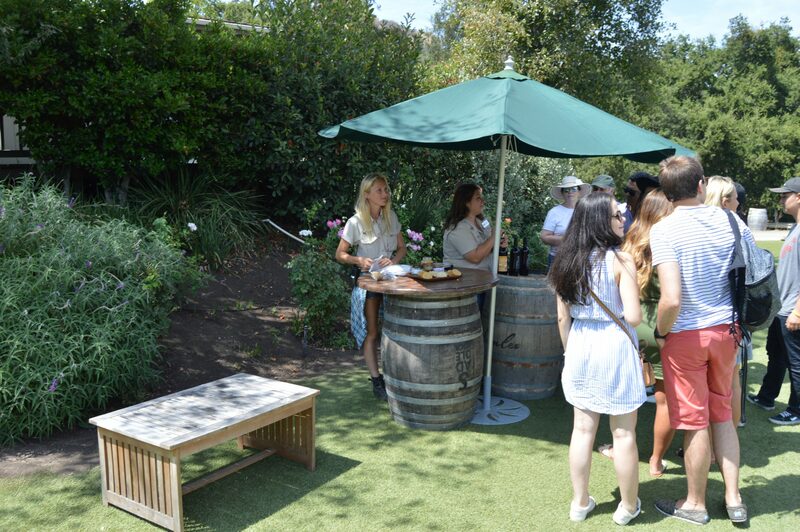 You can choose to relax and enjoy wine at their garden location, or you can choose to go on one of their 5 Safari trips! 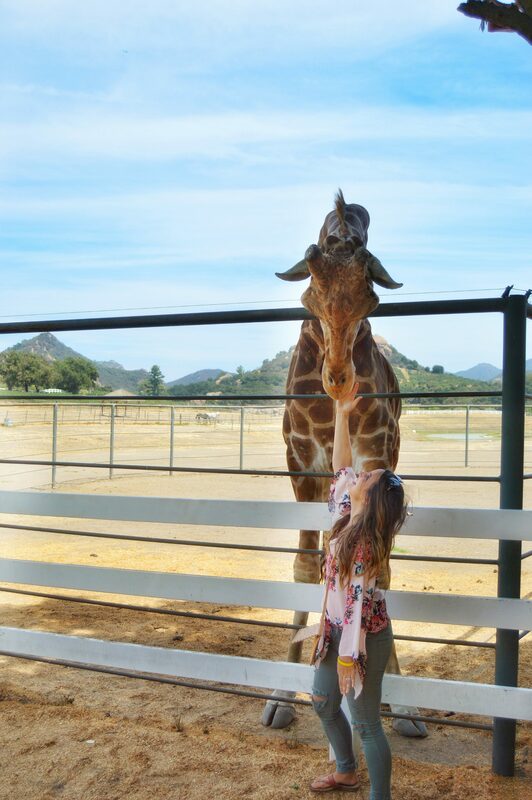 These Safaris include varying wine tastings, a trip around the venue enjoying the views, meeting the exotic animals, and if you choose the right tour you get to meet Stanley the Giraffe! 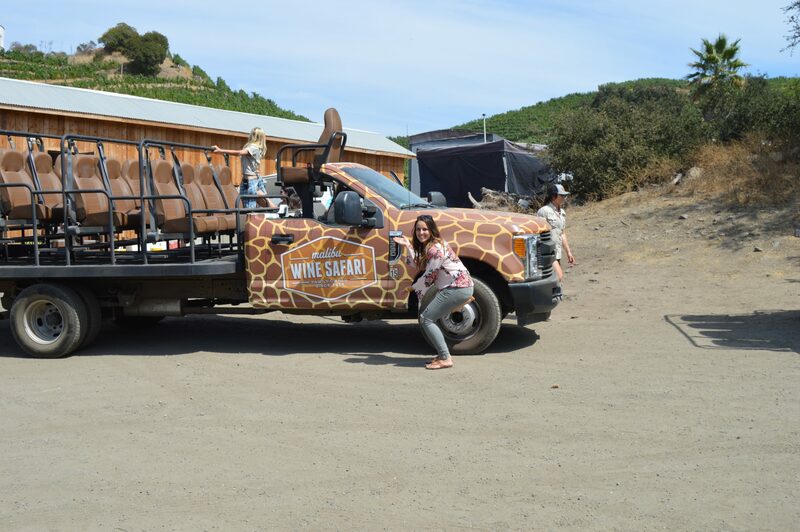 Stanley the Giraffe is the vineyards celebrity, he has been on multiple commercials and was featured in Hangover III! 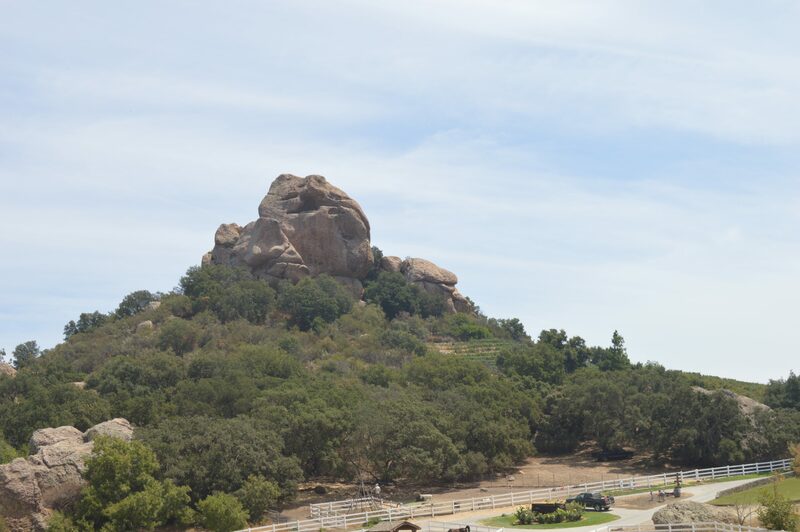 He has since retired from the movie life, but is such a fun part of your tour of the vineyards! I highly recommend a Safari that includes a meet and greet with Stanley. 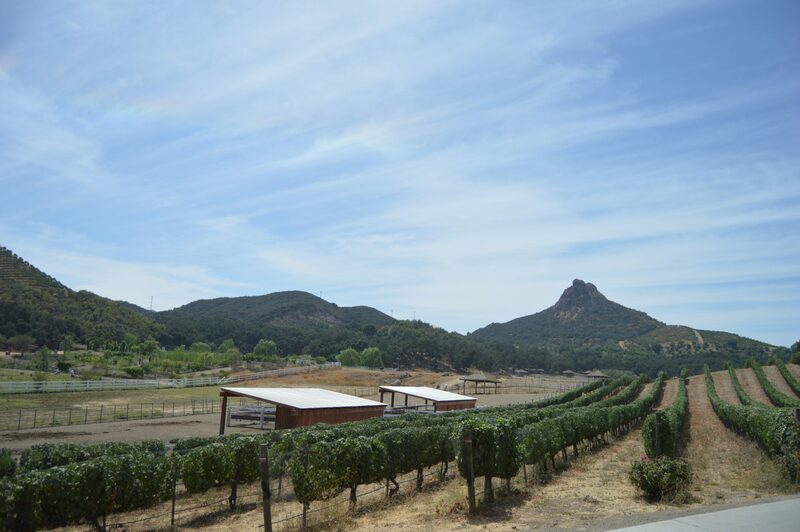 We chose to do the Giraffe Tour which started with a Safari ride around parts of the vineyard overlooking the exotic animals they house. You then go on to feed the alpacas, donkeys and zebras some cut up carrots and lettuce before getting your first flight on wine. The first flight of wine had my favorite wine of the safari, their rose wine (I definitely bought a bottle before I left). 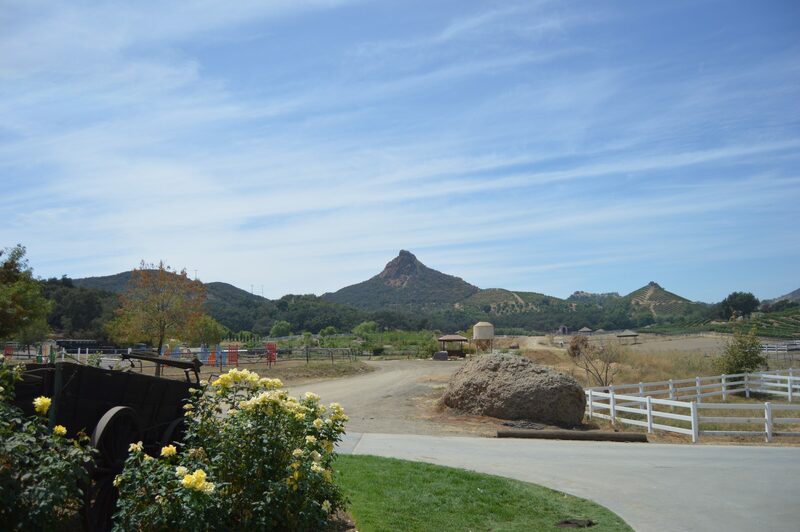 You then head off to see more of the vineyards as well as get a glimpse of the Bachelor Mansion! 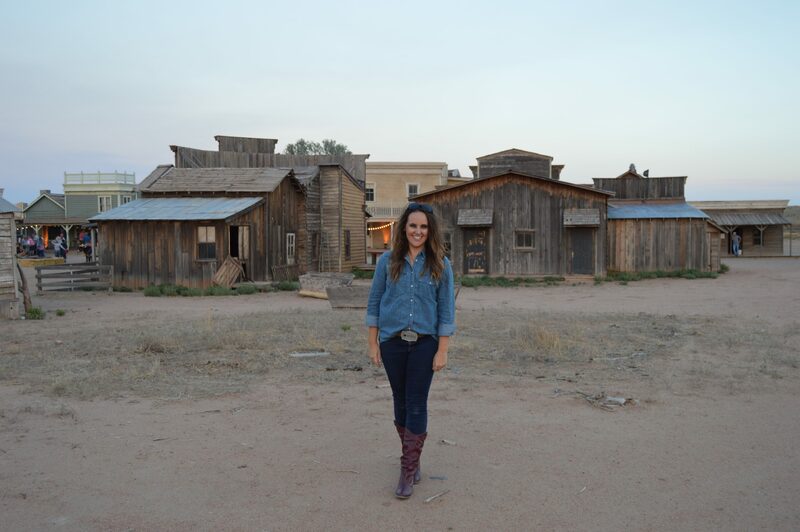 After your glimpse of the Bachelor Mansion you get to see Stanley, which was my husbands favorite part! 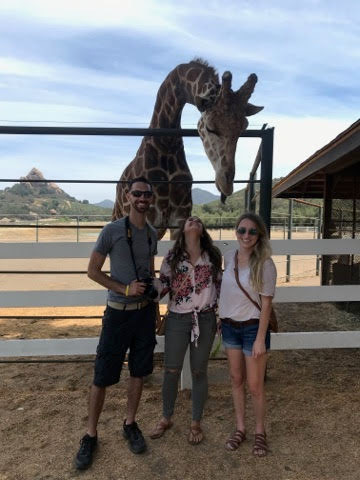 Stanley is fed almost every 20 minutes with heads of lettuce making him one of the friendliest giraffe’s I’ve ever met. 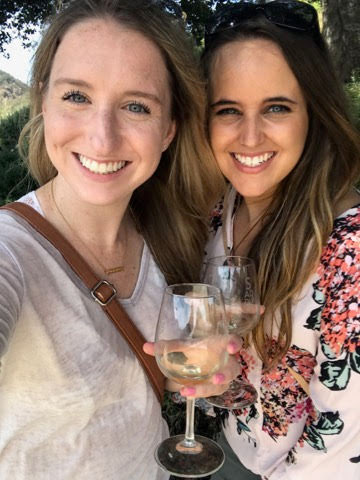 After your time with Stanley you head off to your second flight of wine coupled with cheese and crackers at the vineyards adorable cottage. 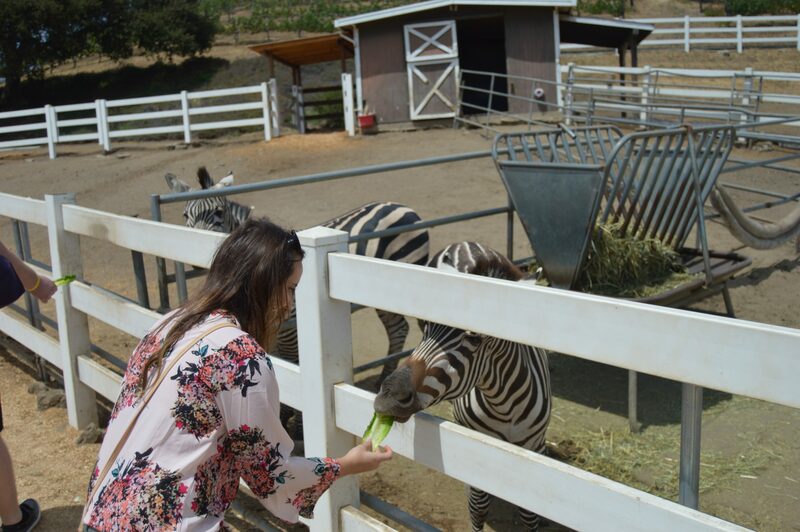 This Safari is worth every penny and is a must do event if you are in the LA/Malibu area! 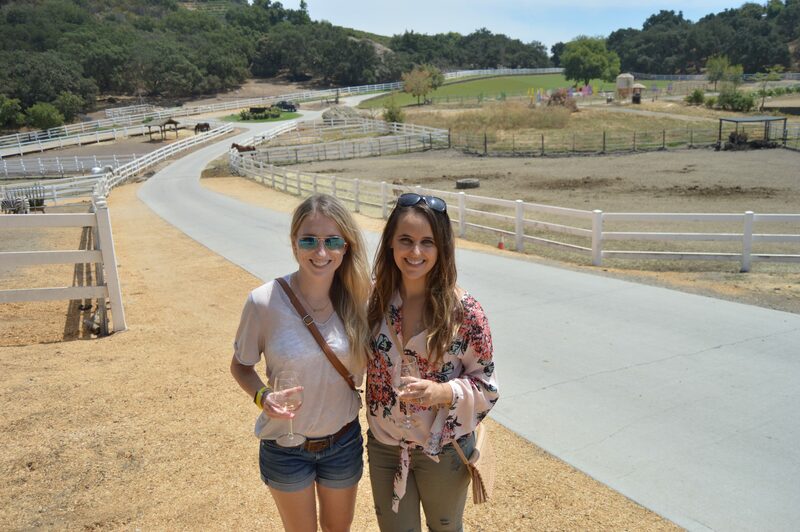 If you head to the Malibu Wines, be sure to let us know! Prices as of 8.24.2018 Please check the Malibu Wine Website for Updated Prices. The Safari Trucks You Ride In!